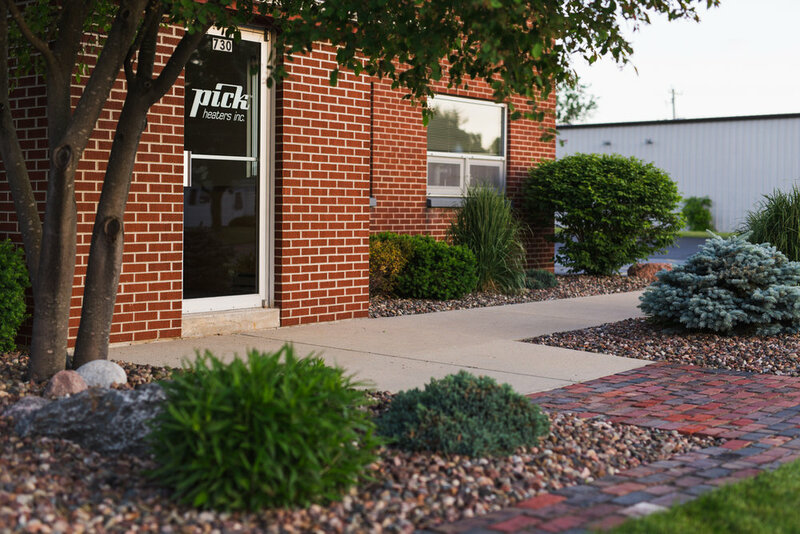 Since the business is located in an older established neighborhood of West Bend, the goal was to have it blend with the surrounding residential landscaping and create more seasonal interest while keeping the landscape low maintenance. 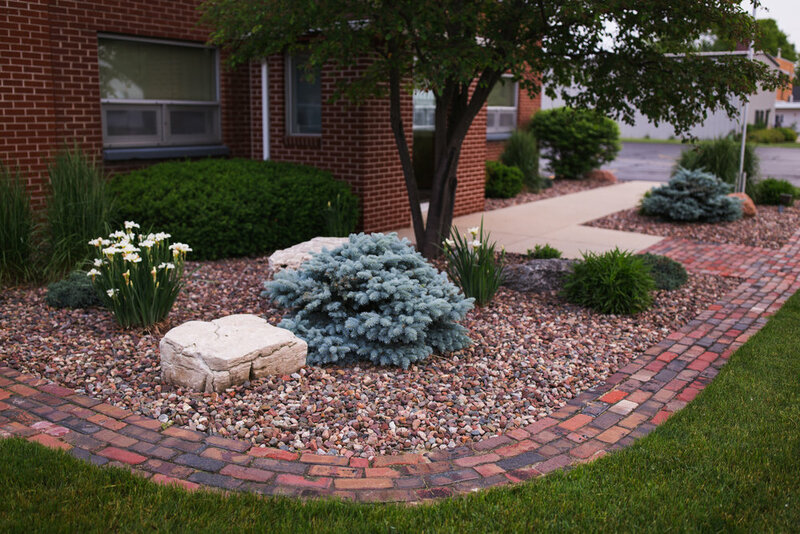 Large overgrown shrubs were removed and a mix of perennials, grasses and character rocks were added. A Simple but effective outcome. Strong brick borders now delineate spacious planting beds, which combine new and existing plantings to provide seasonally changing highlights.